I haven’t been blogging personal things lately. It has been all I could do to stay on top of new puppy photos and announcements, so the personal stuff gets put on the back burner. But we had a nice family gathering a couple weekends ago and all the grandparents flew to Spokane to attend Grandparent’s Weekend at UCA, the Academy that Darien attends. 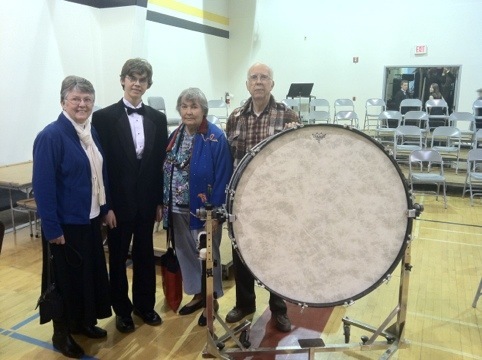 The weekend was filled with music from the choir, choraliers, band, and the orchestra. The gymnastic team also performed. I’m excited that all of my kids will be attending next school year, and we will be living just a few miles from the school! It was nice for everyone to be together and to get a mini vacation away from the chores of life. Darien always looks sharp in his tux. 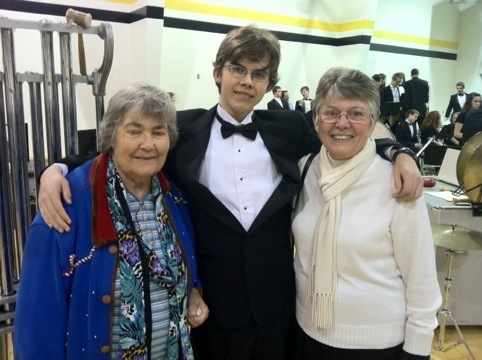 He now towers over both grandmas, affectionately known as “Mema” and “Mom”.